The Thing about Yetis is a ridiculously cute picture book by Vin Vogel. My children fell in love with the fluffy, sometimes ‘crabby’ character with all its amusing expressions and antics. It’s an easy book for young children to follow and most importantly, relate to. 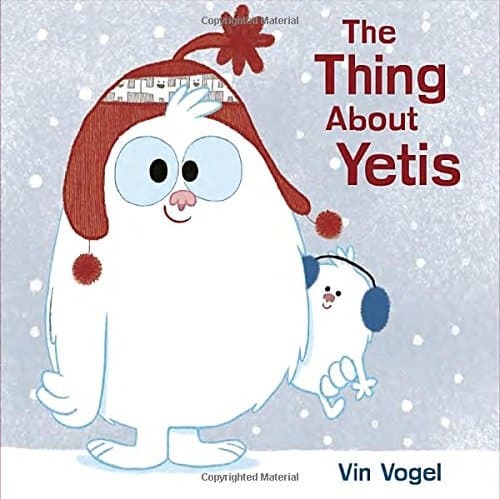 We talked about the activities we like to pursue in Winter and used the illustrations to discuss the emotions of the yeti; was he happy or sad? having fun or being a little mischievous? and from this perspective, The Thing about Yetis (US Link / UK Link )really comes into its own, as the illustrations compliment and expand the narrative beautifully. It’s a fun, bouncy book with tons of humour and your preschooler will love it! 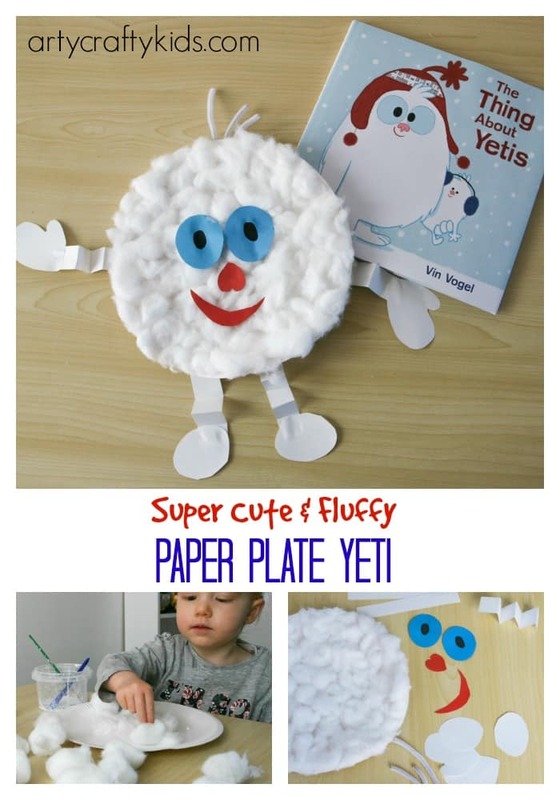 As always, we like to extend all book readings with an activity or craft and for The Thing about Yetis (US Link / UK Link ), we’ve created our own adorable Yeti. To begin, set your arty crafty kids up with a paper plate, PVA glue and cotton balls. 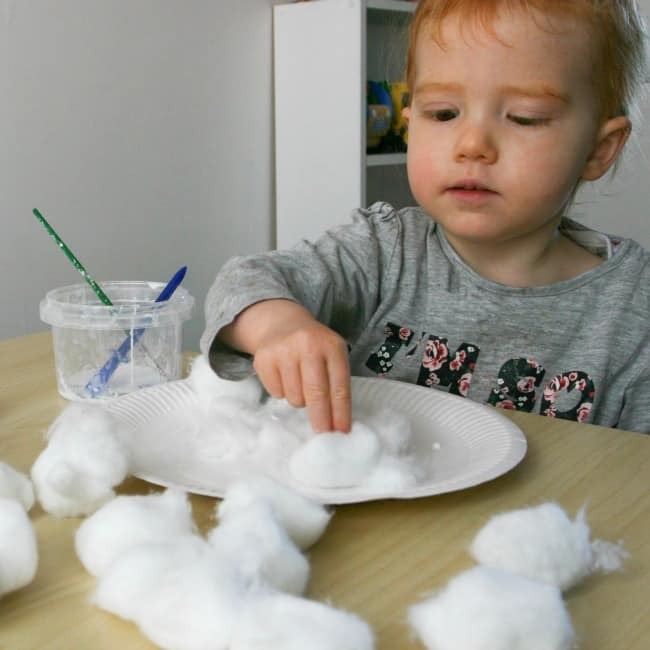 Separate the cotton balls and stick them to the paper plate to create a fluffy layer. 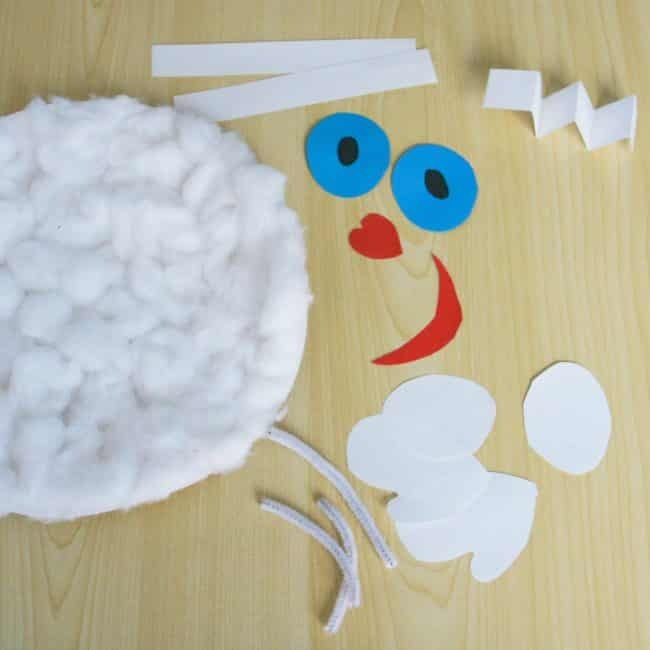 Using coloured paper, cut out eyes, a nose and a mouth for the yeti. 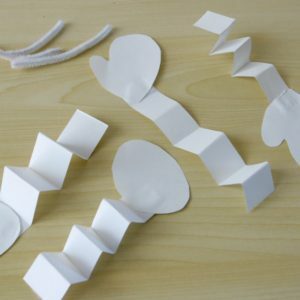 Cut a piece of white paper into four strips – these will be used for the legs and arms. Cut two mitten shapes and two ovals for feet. And finally, cut a white pipe cleaner into 3 uneven pieces. 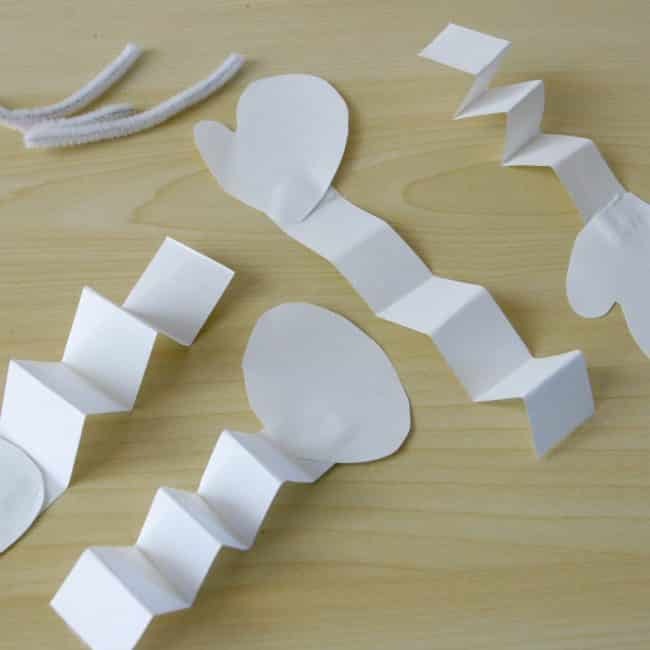 To create a bit of texture, fold the strips of white paper into alternating folds and attach them to the mittens and ovals. 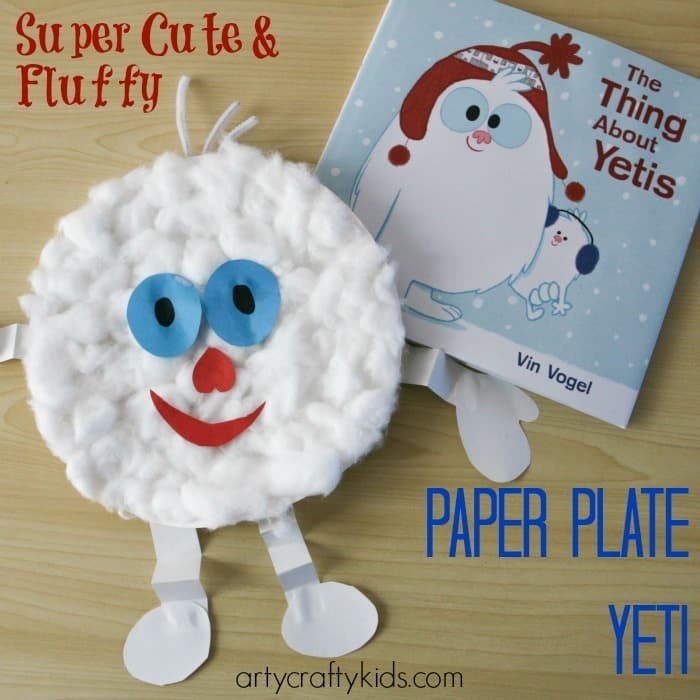 Complete the yeti by sticking the facial features directly onto the fluffy paper plate and attach the arms, legs and tuffs of hair (pipecleaners) to the back of the plate, securing with sticky tape. Your arty crafty kid should now have a super cute and fluffy yeti all of their own to help bring the character of the The Thing about Yetis to life! Max and Marla – A story about friendship, perseverance and fun! The Day the Crayons Came Home – A hilarious story that will have you and kids in stitches! This post contains affiliate links – thank you for your support! The is a sponsored post for Penguin Kids. All views and opinions are entirely my own, for more information, please see the Arty Crafty Kids disclosure statement here.